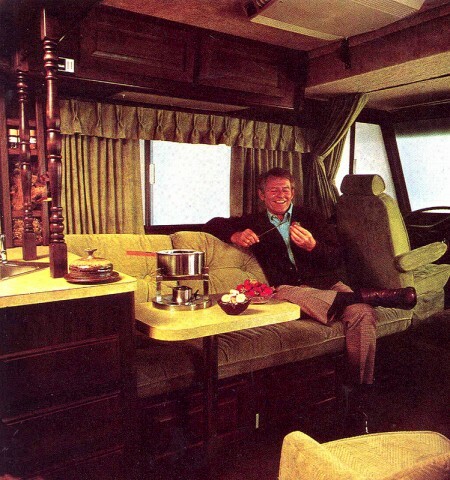 Yesterday, I was reading this entry from Retrospace about motorhomes in the Seventies. 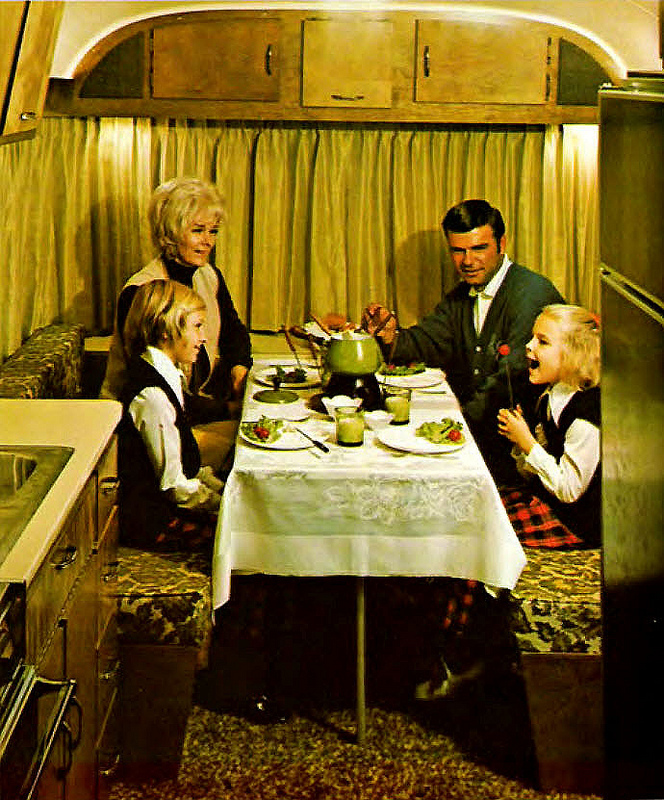 When I saw this photograph from an old brochure, I was intrigued by its familiarity. 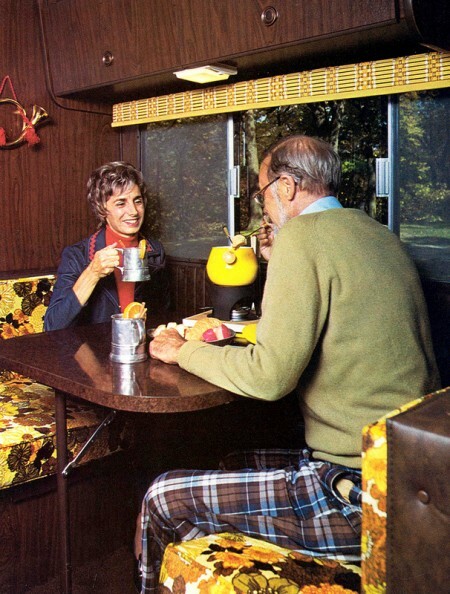 That wasn’t the first time I had seen someone enjoying fondue in a camper. Then, I thought that maybe I had just seen it before on Retrospace’s other entry. But even that entry seemed like a cliche to me. It wasn’t until I went searching that I found exactly HOW much a cliche eating fondue while camping was. 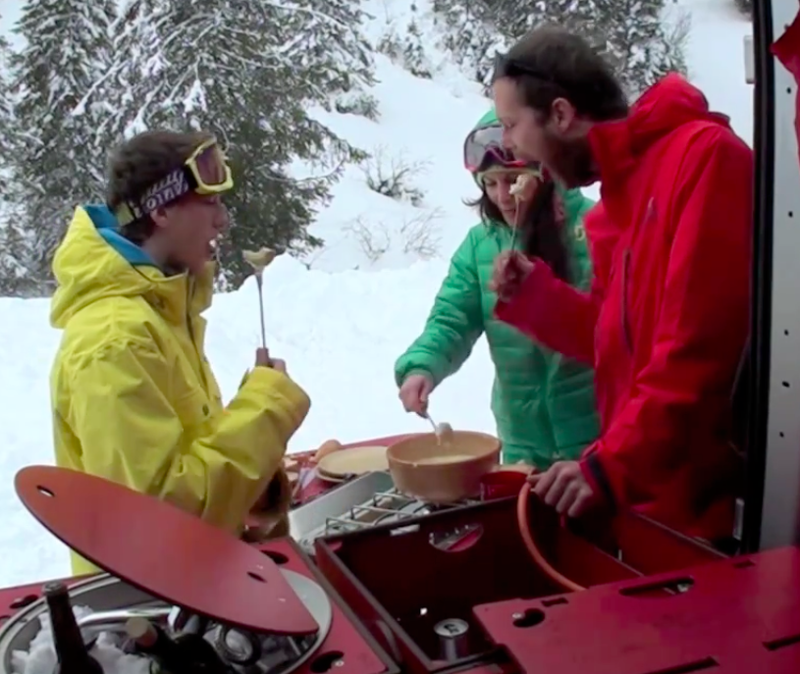 The first thing I remembered was the wonderful video for the SwissRoomBox that featured three skiiers and a fondue pot in their car camping setup. Here are a few stills from the video. 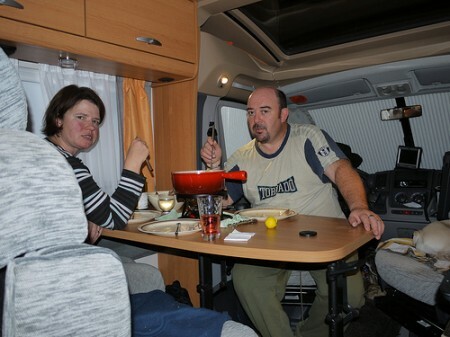 Karöttli might not have snapped this photo at the most opportune time, but it clearly shows that people in the here and now eat fondue in their motorhomes. 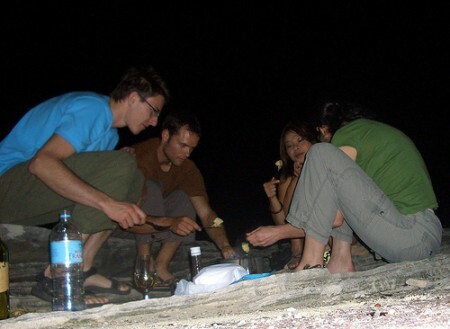 This photo from Tooley shows that even over the campfire, fondue is still enjoyed. 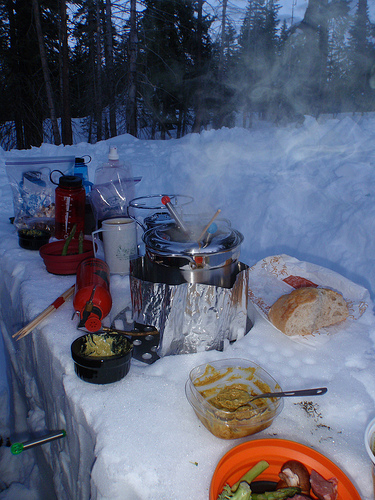 cleatus_cobb shared this very chilly looking fondue party from 2010. 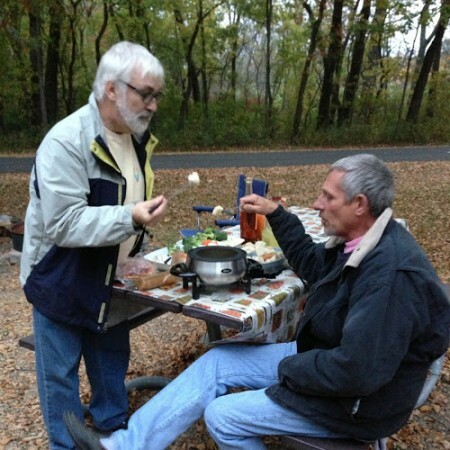 Bernie and Mitch were deep in conversation when this photo was taken, but they clearly enjoyed the fondue just moments before the big discussion. 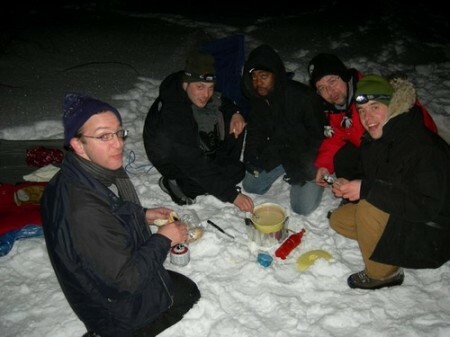 And pascalH‘s friends look happy to be huddled around the fondue pot in the snow back in 2008. 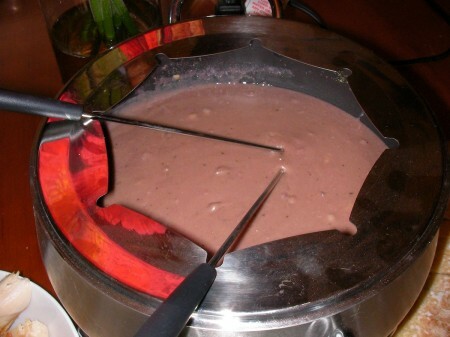 Since camping fondue is such a trope, I think it’s time for me to pull out my recipe for Purple Fondue and serve it up at our next camping trip. 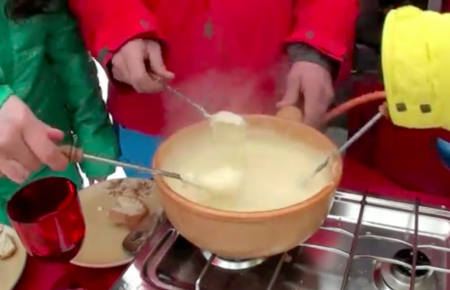 I wonder how it will turn out over the camp stove! 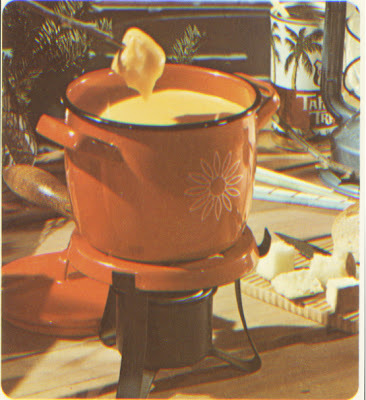 Retrospace found another fondue in a camper image. 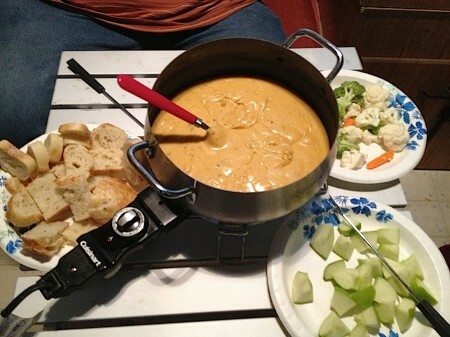 This time, with a lovely avocado green fondue pot. For our anniversary, we camped at Wasatch State Park and brought the fondue pot. Instead of the Purple Fondue recipe, we opted for an easier cheddar and beer recipe. It turned out beautifully delicious! !